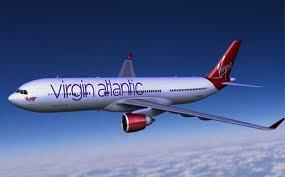 Recently, we were lucky to be able to use one of Virgin's new Dreamliners on our fear of flying course at Heathrow. This particularly beautiful aircraft is amazing... can you imagine conquering your fear in such a gorgeous piece of machinery?! The day was 10th July and it was a beautiful day which enabled one of our team leaders (and former nervous flyer) Chris Rolinson to take some footage of take off and landing. Enjoy the footage and for those of you looking to remind yourself what happens at each stage of take off and landing, this is priceless. Piano Meditations by Chris Rolinson. PREMIUM: Birmingham July 24th FULL; Gatwick November 6th; Manchester November 13th; Leeds February 5th.